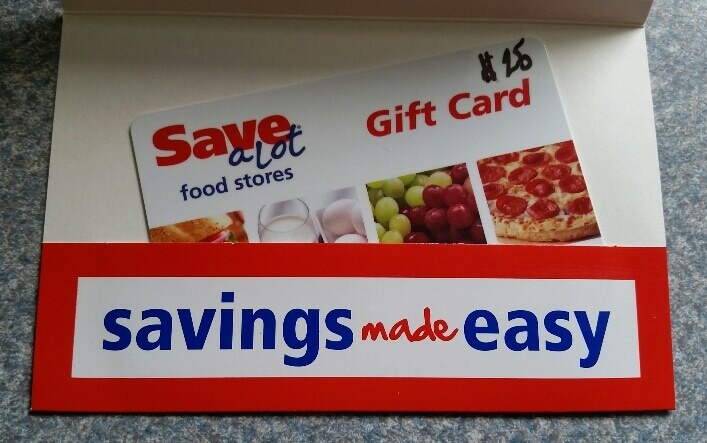 #ad: I’m required to disclose a relationship between our site and Save-a-Lot. This could include Save-a-Lot providing us w/content, product, access or other forms of payment. However, all opinions are our own and we stand behind anything we recommend! UPDATE: Giveaway Winners announced at the bottom of this post! Jamie here! 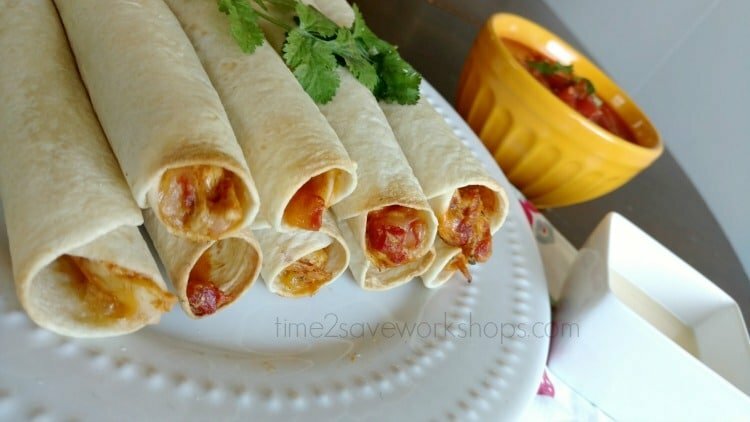 On Sundays after church we’re always in the mood for Mexican food – and these cream cheese chicken taquitos are my guys’ FAVORITE Sunday lunch. They’re easy to throw together, creamy and crunchy and better for you than the frozen kind. With the Super Bowl coming up I’m planning to make these the STAR of our football snacking spread. These are great to serve with our Easy Summer Salsa Recipe! 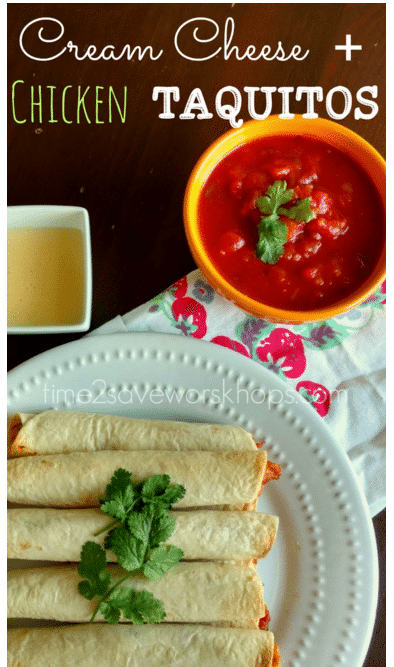 Here’s how to make these scrumptious cream cheese chicken taquitos for your next Super Bowl Party, Cinco de Mayo or regular old Sunday afternoon…. First, stop by your local Save-a-Lot for a short list of ingredients – they have super affordable prices on all of these items! 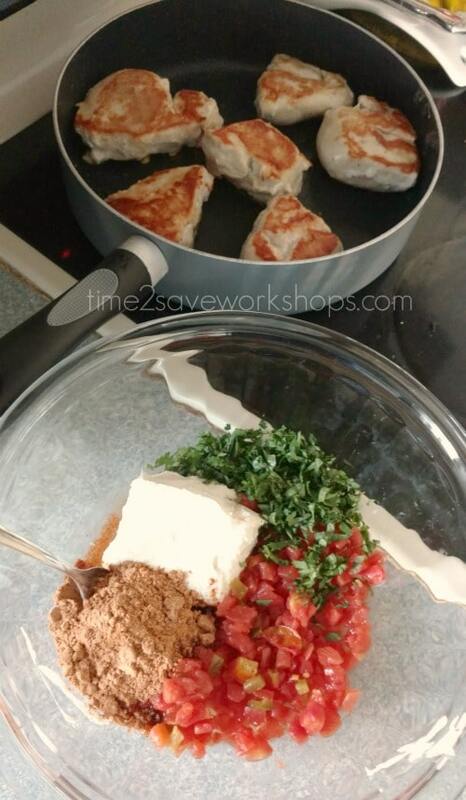 Start by cooking the chicken, and while it cooks mix together diced tomatoes, cream cheese, taco seasoning and a couple tablespoons of the chopped cilantro. 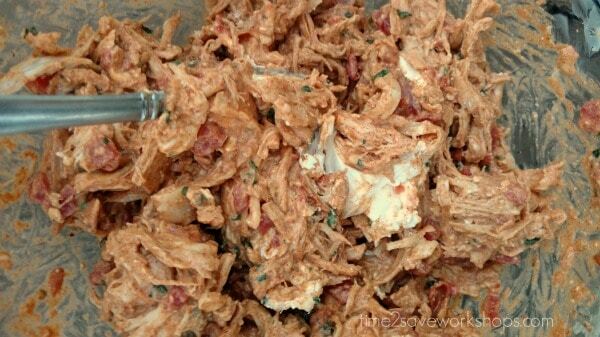 When the chicken is cooked, shred it up and add it to the cream cheese mixture as well. 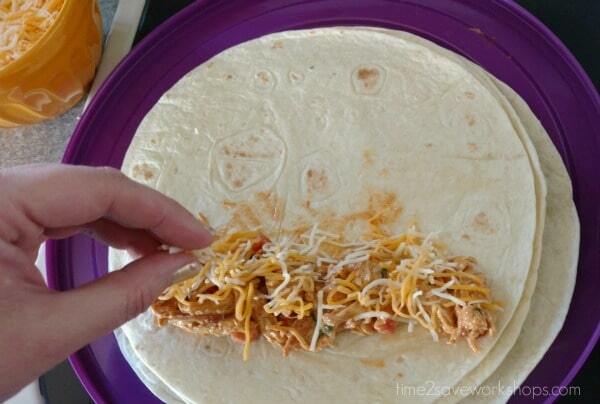 This is where I like to set up a little assembly line – set the stack of tortillas in front of you and spoon in a thin line of filling, sprinkle a tbsp of shredded cheese on top, roll tightly and place on a cookie sheet. Continue until you’ve filled both cookie sheets and spray with cooking spray. (this helps them to crisp up in the oven) I like to get fancy and squeeze a little lime over the top and sprinkle a little sea salt over them – but if that doesn’t float your boat just shove it in the oven and be done! Easy and delicious cream cheese chicken taquitos are a perfect family appetizer - or make it a meal when served with sides and dips! 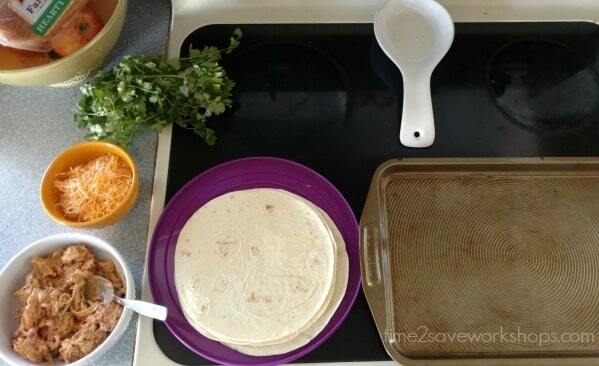 This recipe makes enough for a crowd, or enough to put half in a freezer bag for the next time you need a quick meal. 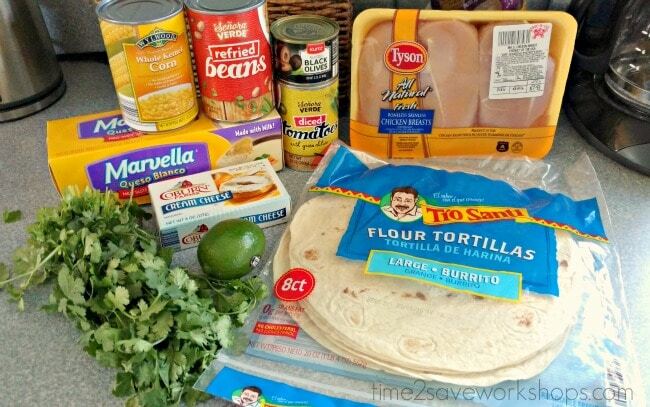 And now for a little treat – Save a Lot is sponsoring a special giveaway exclusively for Time2$ave readers…. i love teriyaki wings with blue cheese! I love ice cream or Oreo cookies! For Super Bowl I have to have my hot wings – the hotter the better! My favorite snack is hot dogs or sausages!